Paying Off a Personal Loan Early: Is It Really a Good Idea? So, Is It Better to Pay Off a Loan Early? Before you decide to pay off your personal loan early, check out all the advantages and disadvantages to make sure you do what's right for you. A personal loan is typically a small loan ranging from several hundred dollars to as much as $100,000. These are more likely to be unsecured loans. That is, the borrower wasn’t required to put down any collateral, but typically pays a higher interest rate to compensate for the risk the lender is taking. People take out personal loans for all types of reasons, including to consolidate debt or make a purchase that is outside their current budget. These loans can be fixed rate or variable, secured or unsecured, and more than a few lenders will even give out loans to borrowers with poor credit. If you do take out a personal loan, you may find that you have the ability to pay off the rest of the debt before the payment term is over. Whether or not you should pay off the debt early is an important consideration, and it’s worth taking a look at the pros and cons. Interest builds up over the duration of a loan, so if you pay it back quicker you stand to save money on the interest, which could be a significant saving depending on the size of the prepayment fee. If you have the money to repay the loan early and the penalty is less than the savings, then it's a good idea to pay early. Sure, you’d have to put a big chunk of change down, but wouldn’t it be nice to no longer have that monthly payment to worry about? Paying off a loan early does require saving up a good bit of money, but by ridding yourself of the monthly payment, you can better budget every month without worrying about another set payment right off the top. Though it may sound counter-intuitive, some lenders charge a penalty fee for repaying a loan early, as a means of offsetting their loss of future interest payments. Look at it this way - the lending company provided a loan with a specific schedule and plan that both sides agreed upon, with expected economic rewards for the lender. However, by paying early, you stand to cost them some of the money they expected to make on the loan. The fee - often referred to as an exit fee or prepay fee - depends on the amount of the loan and is typically calculated by taking into account how much of the loan remains unpaid, the interest rate, and differences between your interest rate and current market rates if you have a variable interest loan. Though it's tempting to say goodbye to your monthly payments, it’s also smart to have a rainy day fund in the bank for when the need arises. By losing those extra funds you could potentially find yourself needing to take out another loan if you hit a rough patch. If you come into the money to pay off your debt in a lump sum, it could be wiser to take that money and invest it in a mutual fund or a similar portfolio that could earn you money in the long term. If the payments on your current loan are easy enough to make each month and the interest isn't too high, this could be a smart way to get your money to work for you. Though it's understandable that people would think paying off a loan early would help their credit score, the opposite is closer to the truth. Open accounts count more than closed accounts because they show that you are able to manage your credit and make payments in an orderly, regular fashion, and not just in a single large payment. By maintaining a higher credit score, you should be able to get loans in the future with more attractive interest rates. An early repayment fee takes into account a number of factors, including how much is left on the loan. Many lenders set a fixed repayment fee, such as 6 months interest, or a flat fee of say, $500 if you repay your loan within the first few years. A number of lenders go for a fixed percentage fee, such as 2% of the remaining loan. In such a case, if you had $10,000 left on a personal loan, then early repayment would include a fee of $200. A good rule of thumb is that typically the fees will be higher the earlier in the loan term that you decide to prepay. Most top peer-to-peer lending companies like SoFi, LendingTree, and LendingClub say that there are no early repayment fees for borrowers, though with some of the other online financial institutions, it’s hard to determine the likelihood you will be forced to pay a fee. That said, even if there is a prepayment fee, you could potentially save big money on the interest payments by paying ahead of time. It's up to you to read the fine print on any loan before deciding to sign, and to make sure that you can keep all your options open with the loan. There is something truly satisfying about the feeling of finally paying off a debt that has been hanging over your head - and paycheck - month after month. There is a feeling of accomplishment and the knowledge that you will no longer have to budget in the monthly payments on the loan. That said, the process can cost you, and it is up to you to determine whether or not paying off your loan early will come with any additional fees that are large enough to offset any potential savings. The bottom line: look closely at your loan conditions before signing, and if you do decide to pay early, make sure it will be worth it. 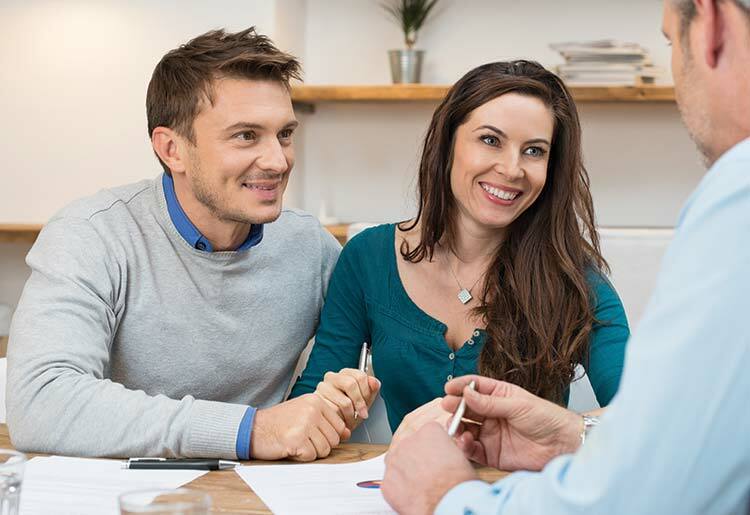 Check out our in-depth reviews of the top personal loan providers to learn more.